Do you have ideas you want to make a reality? Projects back logged that you haven't been able to get to? Build them all with our CNC machines. We have a full line of complete CNC Router kits and our new Saturn Series machines that are built for performance and durability. Want to design a custom machine? 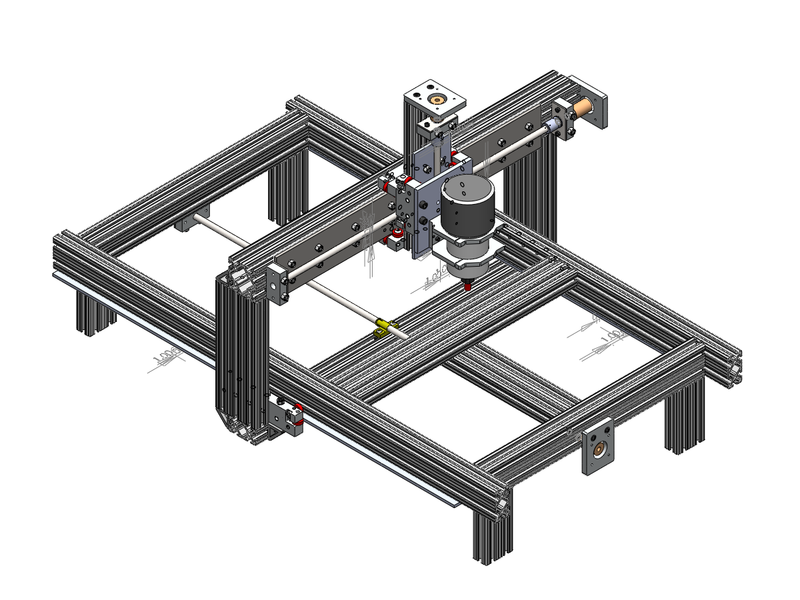 We have a full line of components for building your own CNC machine. 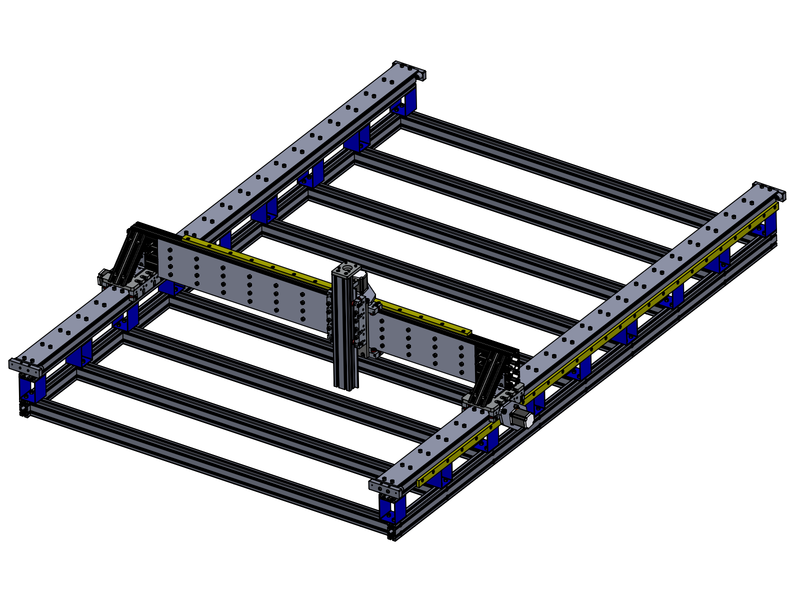 Our CNC machines feature all steel and aluminum extrusion framing for extra rigidity. Combined with our innovative drive and linear motion systems, you get an affordable, well built machine that is strong enough to handle an almost endless array of jobs and projects. Our unique components and design make for expandable machines. We have expansion kits to make the machine grow, you just swap out the components. When you grow, we grow with you. Without making you buy a completely new machine. Our New Saturn Series CNC routers use top of the line components offering the best quality in it's class. Sporting linear profile rails, upgraded Rack And Pinion Drives, and ground ballscrews, these routers provide unbeatable quality at an amazing price. With true working areas of 2' x 4', 4' x 4', we have machines that will me the most demanding of your needs. Our Standard CNC routers use affordable custom components to provide the best value of any machine available. ACME lead screw drives, rack and pinon drives, and radial bearing linear motion systems provide exceptional performance for the price. With true working areas of 2' x 4', 4' x 4', and 4' x 8', we have machines sized perfectly for your needs. And a strong community of 500 users and counting worldwide means you are in good company. Our Benchtop CNC line features smaller CNC machines that can fit in any workspace or garage. Our 2' x 3' machine can be put on top of a workbench or table and is still large enough to handle a wide array of projects. Introduced in 2009, it remains our bestselling CNC machine. A CNC machine can't run without electronics to drive it. Motors, drivers, and power supplies can be confusing, but we have proven, robust solutions to help you. We currently carry 2 tiers of electronics. Are you a hobby user? Do you want a reliable system but are willing to sacrifice some performance to save on cost? Our NEMA 23 Electronics are for you. We have built an affordable, highly capable system that is reliable and hassle free. Making money with the machine? Want to eek out every single ounce of performance you can get from the machine? Our NEMA 34 Electronics are designed for you, the most demanding user. With beefy 960 oz-in low inductance motors and Digital DSP motor drivers, these units provide double the power to handle tougher jobs with ease. Cut deeper. Cut faster. Without worrying about pushing the system too far. Both of our electronics systems have completely plug and play connections from drives to motors. No resistors to attach. No wires to solder to crimp. Just plug them in and go. Ever have to assemble a product and you open the box and all the pieces are jumbled together and nothing is labeled? We hate that too. Which is why we do things different. All of our kits are packaged by step. When your on Step 5, just pull out the step 5 bag and all the components you need are inside in their own bags with labels. What you need when you need it. Without the hassle of hunting searching. Still a little weary of getting a machine that has to be put together? Each machine has full pictorial and video instructions for assembly. On each of the kit pages you will find 3D viewable plans, printable assembly instructions, and video assembly instructions. No passwords or access required. Go see for yourself right now how easy it is to put a kit together. You have ideas you want to build. Get started with one of our machines. Build more projects. In less time. Without breaking the bank.